# Define your brows. 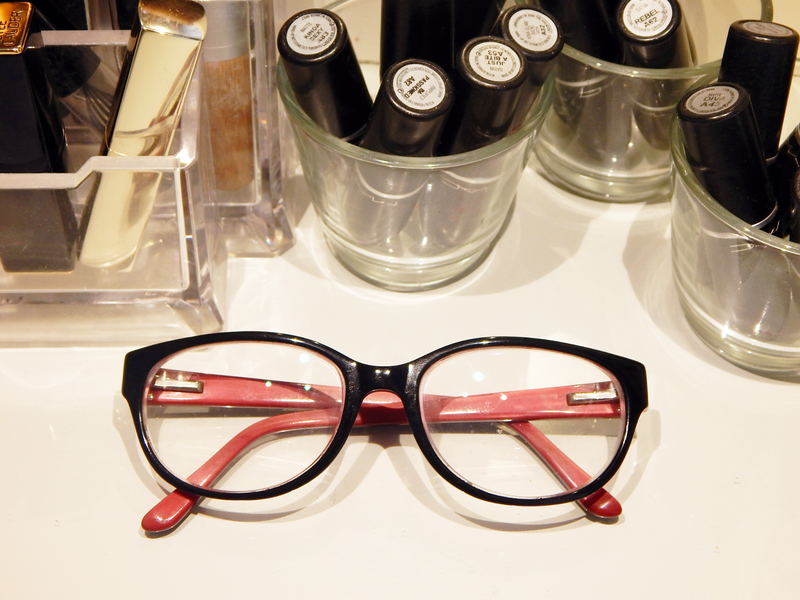 If you wear quite heavy/dark frames like I do, defined brows will give your face much more shape. It also helps to balance everything out in general and not let the glasses take over your whole face. # Apply your eyeshadow a tad darker/heavier than you normally would. 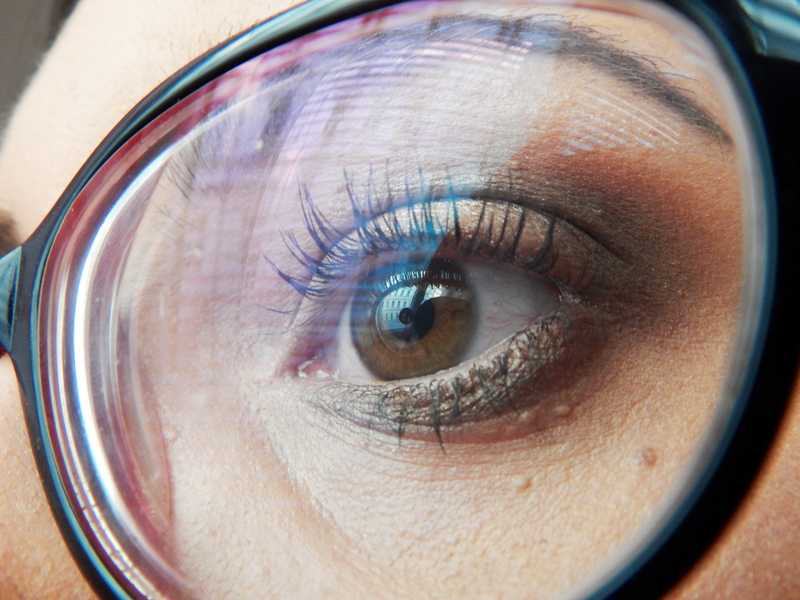 Otherwise, your eyes kind of "disappear" behind your glasses- if you accentuate them a bit more, that won't be the case. # Smudge some eyeshadow on your lower lashline as well. I can't tell you why exactly I do this, but I just feel like it pulls everything together and your eyes look unfinished if you don't. 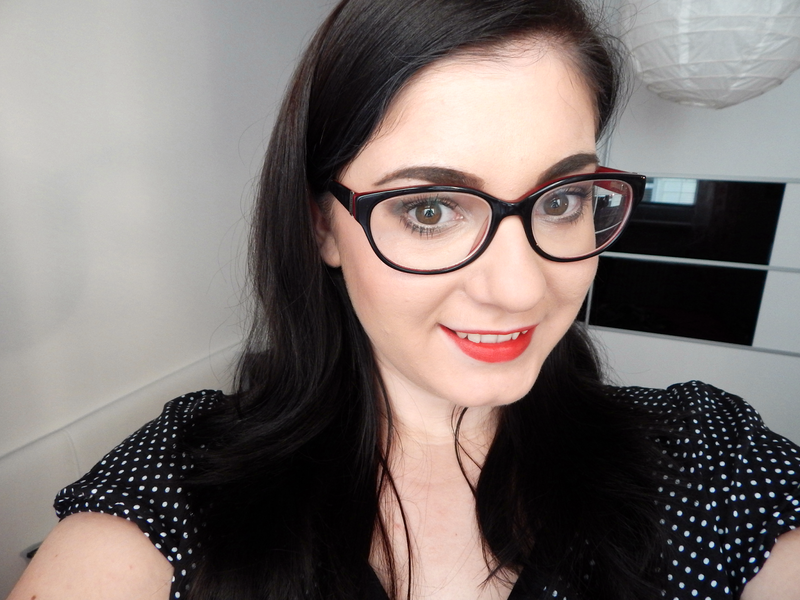 # As you can see below, my glasses have a black/red frame, so I kind of like to match my lipstick to that and often wear a red shade on my lips when I wear them. On this picture, I'm wearing the Bourjois Rouge Edition Velvet in Hot Pepper. # On my glasses wearing days, I also like to wear a slightly heavier contour than usual to balance out the heaviness of my black frames. For that, I love to use the Sleek Contour Kit in Light.